Here’s a commission I finished earlier last year. This map was commissioned by Voyager World, the publisher of Christopher Rowley’s book series Battle Dragons Battle Dragons. 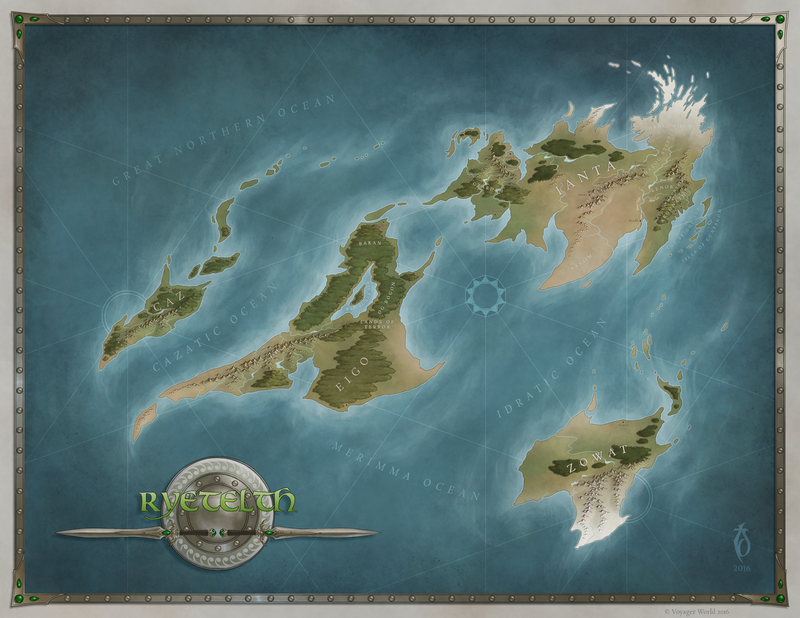 This was the first map I’ve made using Krita, which is a free, crowd sourced funded paint program. I still have a lot to learn about the program and its capabilities, but I must say that I was impressed with just how powerful the program is. There are a number of very useful tools in this program that I haven’t seen elsewhere (such as the Multibrush Tool, which has a wide range of applications for fantasy cartography).